HA NOI (VNS) — Archaeologists have just announced that the bronze drum found at a construction site in Baucau, in the east of Timor-Leste, was typical of the Dong Son civilisation (1,000BC-100AD). Dong Son Village was a Bronze Age culture in ancient Viet Nam, centred at the Hong (Red) River in northern Viet Nam from 700BC to 500BC till the first century AD. It was the last great culture of Van Lang (as Viet Nam was known then) and continued well into the next Vietnamese state of Au Lac. Its influence spread to other parts of Southeast Asia, including maritime Southeast Asia, from about 1000 BC to 1 BC. 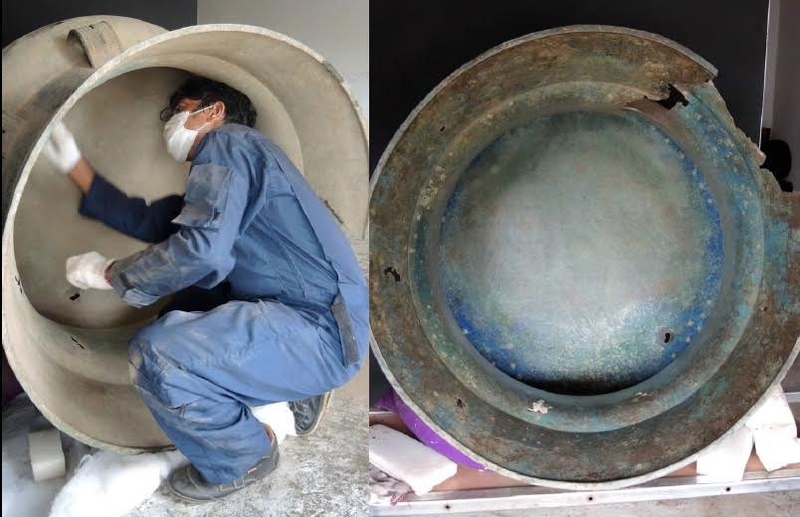 The drum, which measures 103cm in diameter, 78cm in height and 80kg in weight, was unearthed by chance at the end of last year. 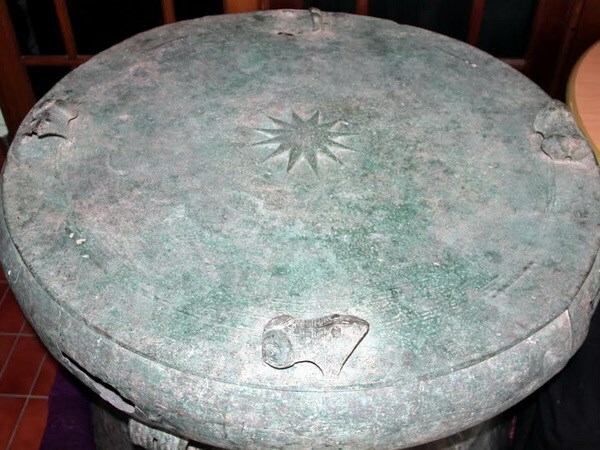 Researcher Nuno Vasco Oliveira, from Arts and Culture Committee of the Timor-Lest government, who has spent a lot of time studying the object, said he was sure 99.99 per cent the drum was of the Dong Son civilisation. A man works on the drum's restoration. This is not the first time such a drum has been discovered in the country. Two such drums have been found earlier. Yet, they were not in as good a condition as the new find which, Oliveira said, was the most intact object of its kind to be found in Southeast Asia as far as he knew. The drum is decorated with four sculptures of frogs on the four corners of its head. In the middle of the drum's head is a 12-petal flower. The drum is now being kept by the committee and will be sent to France to get a precise date of its origin. The current estimate dates it at least 2,000 years ago. After that, the drum will be displayed at the National Museum of Timor-Leste, which is now under construction. Local experts will further study the area where the drum was found. Decorative patterns on the drum's head. "This discovery has great meaning to the young country," Oliveira said. 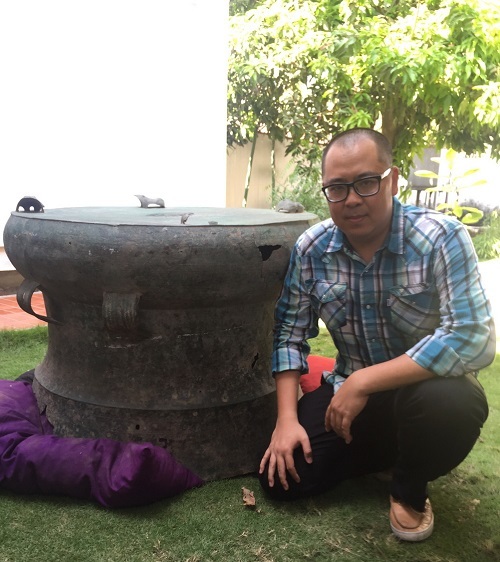 "Various decorative patterns on Dong Son drums have been found on stones in the east of the country. The new find confirms once more the existence of Dong Son culture in the area."